The past January, my wife kids and I were back in Los Angeles for a couple days. 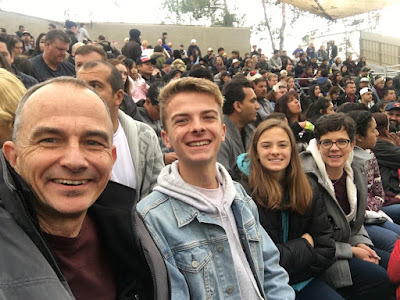 We got a chance to see the Rose Parade, Space Shuttle Endeavour, and finally Universal Studios, Hollywood. Here's a link to Part I and Part II of our time at Universal. 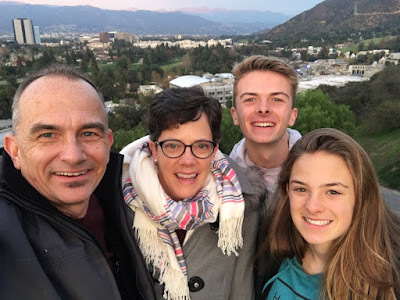 The time that worked for our family to visit was also the very busiest time of the year. 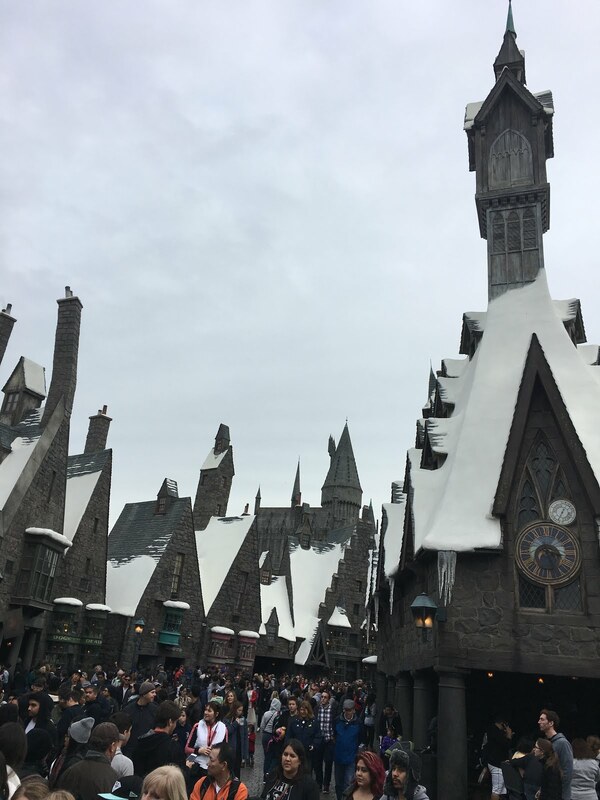 Apparently, the day before - January 2, 2017 - was the busiest day in Universal Studios Hollywood's history. The day we visited - Tuesday the 3rd - was almost as busy. The Wizarding World of Harry Potter (above) was very manageable when we arrived at 8am, but packed by mid day. Still, despite the crowds, it's very well themed - and it a HUGE reason why people visit. 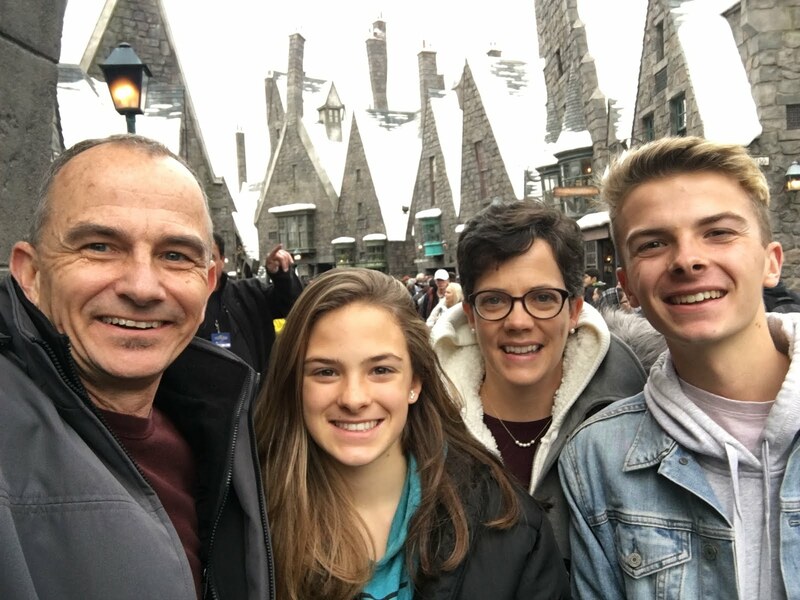 My wife kids and I had the chance to visit the Orlando version of The Wizarding World of Harry Potter in the summer of 2012. It's fun to have the same thing here on the West Coast. 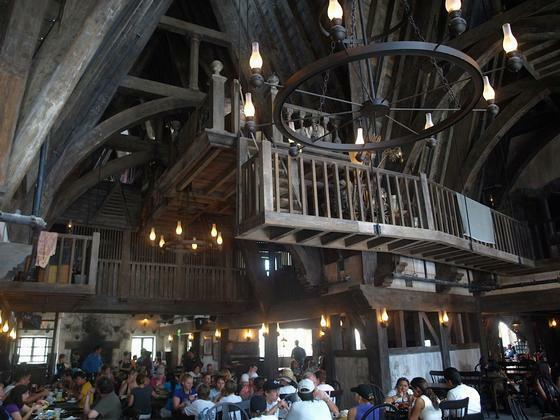 We had lunch at The Three Broomsticks restaurant. Again, very well themed. Despite the crowds on the day we were there, they kept the line moving and the food was pretty good. Universal offered two shows which we took time to see: an indoor special effects show and an outdoor animal show (above). Despite the relative simplicity of these shows, they were entertaining and really gave us an idea of how movies are made. There was a problem when we showed up before the park opened with our admission tickets - and took about 10 minutes to resolve. Universal kindly gave us front of the line Priority Passes to use later in the day. Nice. 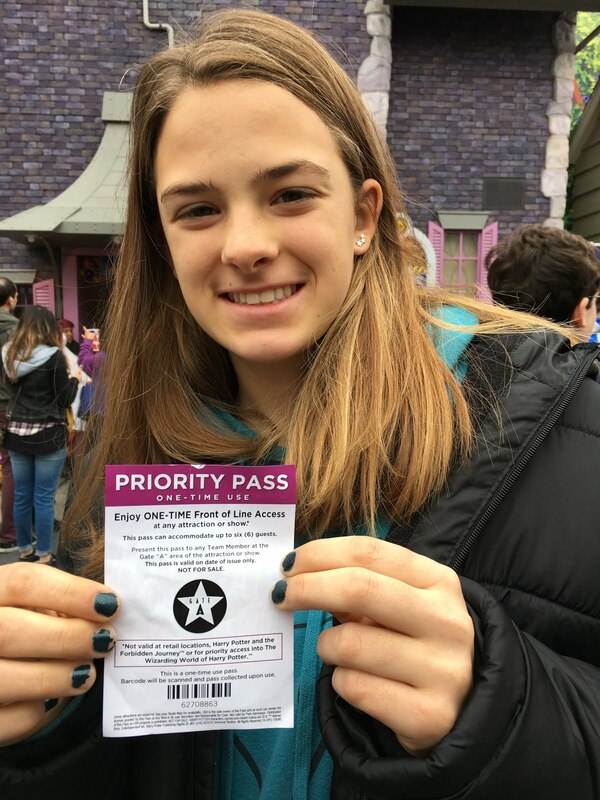 My daughter is a big "Minions" fan, so we decided to use our Priority Passes on their "Despicable Me Minion Mayhem" ride. The theming for the line was very well done. Unfortunately, the actual "ride" was, you guessed it, yet another motion simulator. Ugh. Universal: where the rides aren't rides - they're motion simulators. By this time, we all felt sick. 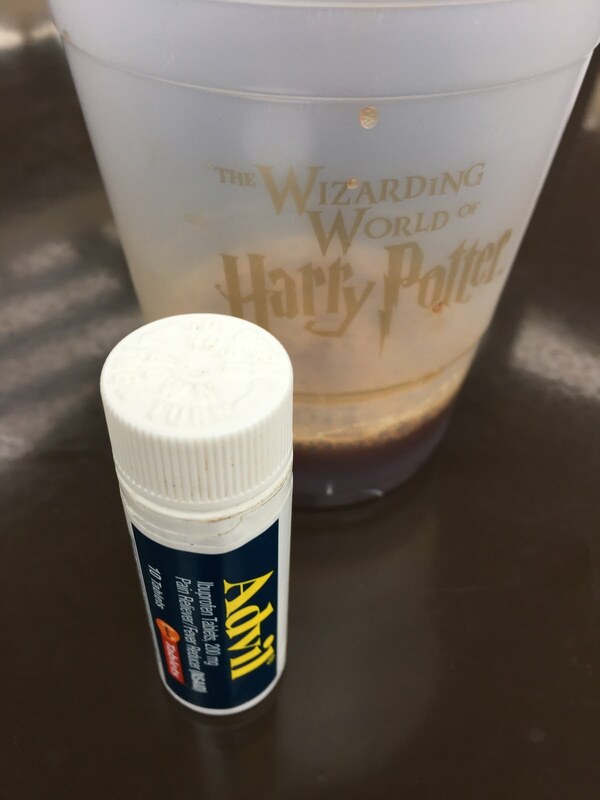 Advil and some instant coffee pretty much sums up how I felt. My kids had the Advil minus the coffee. We had Priority Passes to go back on the Harry Potter ride. Despite the fact this is the most popular attraction there, my teenagers had no interest in going on another motion simulator, and just gave the passes away to some random strangers. The two weeks vacation period around Christmas and New Years' is the very busiest for Universal and the other area theme parks. As stated earlier, the day before was the busiest in Universal Studio's history. So, during the busiest time of the years, you'd expect all their rides, shows, and attractions to operating, right? That would make sense. Instead, months before someone at Universal made the decision to close their largest and most popular show during the Holiday crunch for annual refurbishment. Are you kidding? Didn't anyone look at a calendar? They couldn't wait a week till kids were back in school and the busiest crowds of the entire year died down? 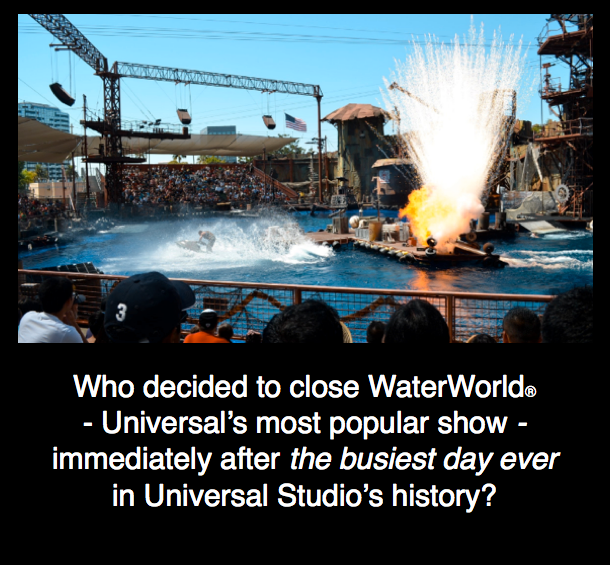 Yep, someone in management decided to close the popular WaterWorld Stunt Show immediately after New Year's Day, despite the fact that the following few days were some of the busiest in the parks history. Really? Left a bad taste in my mouth. 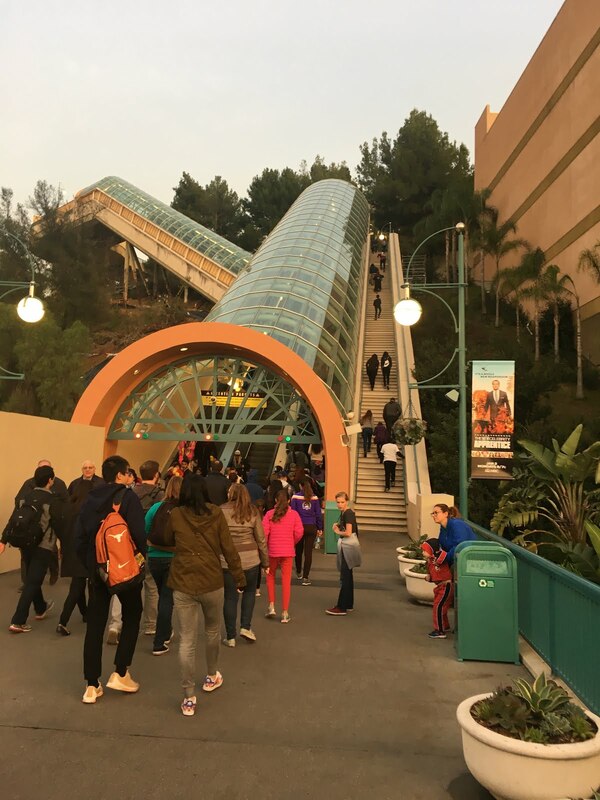 We took the escalators down to the "Lower Lot" part of the park. There was a Transformers Ride, but none of us have ever seen a Transformers movie, and have no interest in this. And, apparently, it was another motion simulator. There was also a "Mummy" themed ride, which is actually an indoor roller coaster. This another movie we've never seen, and the theming creeped out my daughter, so this was another pass. 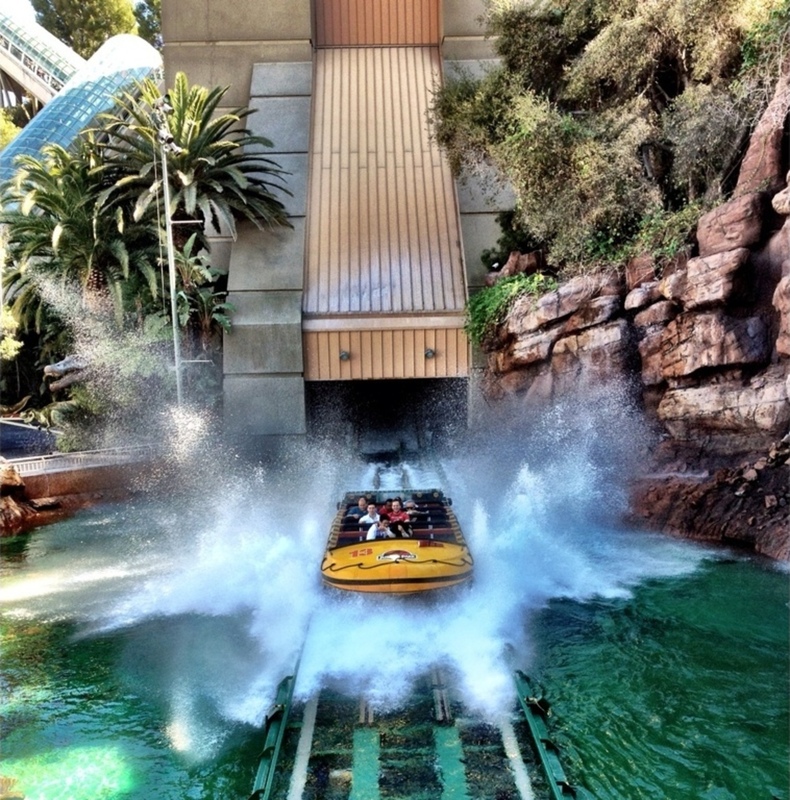 We opted for the "Jurassic Park" water ride. We were a bit concerned about getting really wet - not a good idea where much of the day was in the low 50's - and decided this would be our last ride of the day. While it was no Pirates of the Caribbean, it was still a fun, enjoyable ride. The big thrill is the impressive drop at the end. Was it worth an hour wait? I thought we might stay until 8pm or so. Instead, by 4:30pm our kids were ready to drive home. Above, heading up the escalators to the upper lot, and exit. A final look at the Simpsons. Maybe we're in the minority, but we wish it was an actual ride, rather than film based motion simulator. Final family photo, the Universal backlot, plus the Warner Brothers Studios and Disney Studios in the distance. Sorry Universal, but if you want to experience a real hands on Studio Tour, I'd recommend the one over at Warner Brothers. If you want to experience the theme park that started it all, I'd recommend Disneyland down in Anaheim. I realize that a less than stellar day at an amusement park is really a "First World Problem." Along the lines of the popcorn setting on my microwave breaking, or not being able to find anything in the refrigerator because there's too much food in it. Stuff like that. And I realize that's probably true for other posts on this blog. 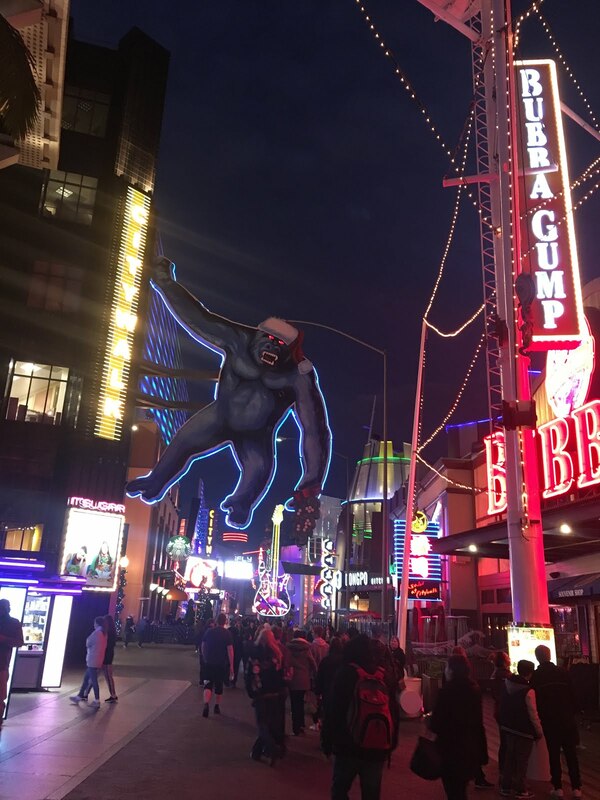 None the less, we enjoy passing along what experiencing Los Angeles is like - especially for those wondering if $100+ per person for the gate admission at Universal is worth it. Walking back to our car through Universal's City Walk. 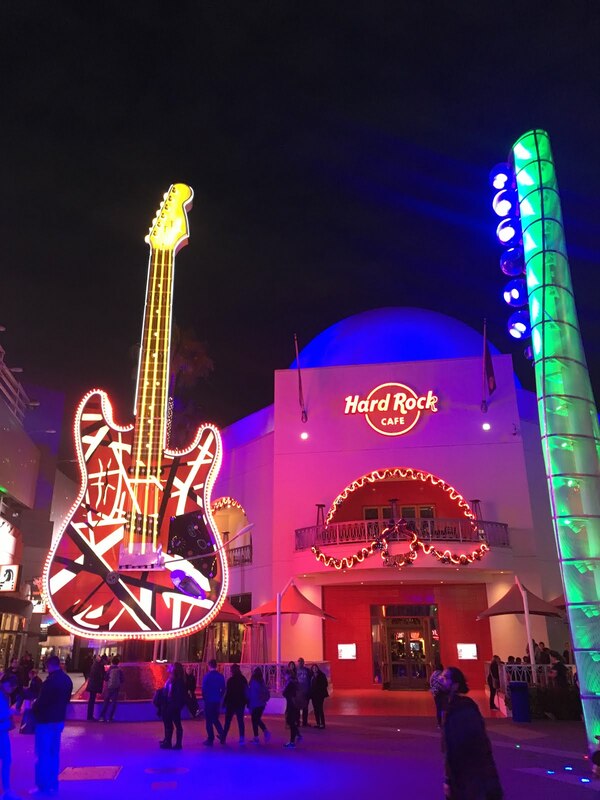 ... and the Hard Rock Cafe. City Walk is free to walk around (parking, of course, costs). 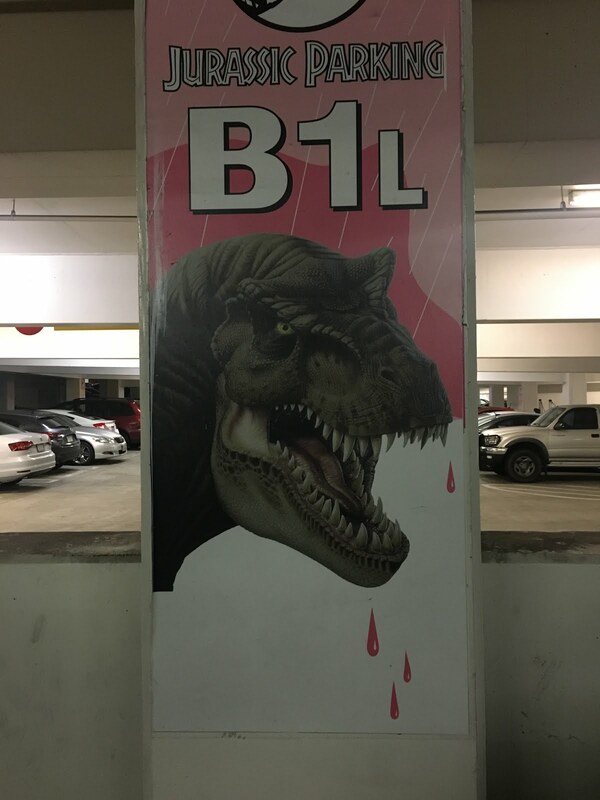 Those four drops of blood on the parking lot sign pretty much say it all - and why I would have a hard time recommending Universal Studios to anyone with kids under age 12. Too intense. Too scary. Too inappropriate. Too "adult." Of course, some people love Universal. Good for them. But for my wife and teenage kids, there were just too many movies and intellectual properties we could care less about. Not enough to see. Not enough to do. Too many motion simulators - too few rides.